Within walking distance of the historic Old Town, the Harzer Kultur- & Kongresshotel Wernigerode offers 258 comfortably appointed rooms. All of the rooms are equipped with a bathroom, telephone, radio, video and satellite TV. Non-smoking rooms are also available. Guest can savor fine dining at our restaurant, and delicious drinks at the bar. 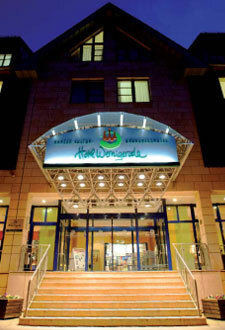 We also offer meeting/banqueting facilities with a seating capacity of 700. Forget the stress of your everyday life, while relaxing in our sauna, solarium, Jacuzzi and fitness club. Parking is available at the hotel. 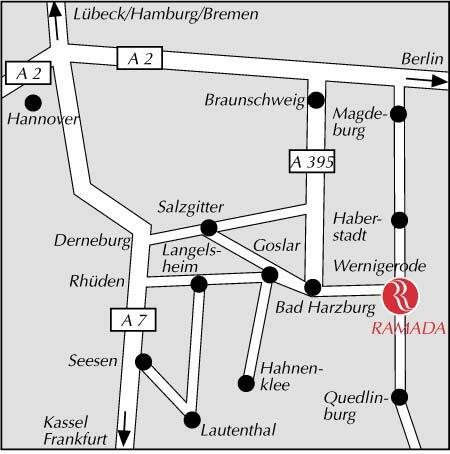 The Harzer Kultur- & Kongresshotel Wernigerode is located 800 m away from the Wernigerode railway station, 22 km away from A2 highway and 110 km away from Hannover Airport.